We have multiple tracks/levels of classes for beginners to advanced campers. Campers of all experience levels attend. Will there be loaner books or books for sale at camp? Yes, some loaner books will be available if you do not already own a book. We encourage everyone to buy a book, and there will be some available to purchase. Can I come to camp for one day? We want as many campers as possible to stay the entire time to enjoy the full camp experience! If you are local and only attend one day, you will be charged a daily rate of $100 for adults and $50 for youth. We ask that you please let us know in advance that you are coming so that we can order your meals, etc. Can my spouse come with me to camp even though s/he doesn’t sing and will not attend the classes? Yes, but there is an additional charge of $200. Our goal is to fill camp with people who wish to sing! Would it be possible for me to pay a lower fee and camp on the grounds and bring my own food? The fees would remain the same. Camping on the grounds is not allowed by Camp McDowell or Camp Lee. Is it okay if I stay with relatives in the area instead of in the dorms? Yes, but we ask that you pay the full fee. (e.g. gluten free, vegan, vegetarian, etc.)? Camp McDowell can provide only regular and vegetarian meals, so you may want to bring some additional non-perishable items to supplement your food. There is limited refrigerator space in the dorms that you can use. Can I attend Youth Camp instead of Adult Camp even though I am over age 29? Yes, of course, especially if you are bringing a youth with you! Our only caveat is that we don’t want to ever turn away a youth because all of the camp slots were taken. This only occurred one year when the camps were combined. Can I park my RV at Camp McDowell? No, Camp McDowell cannot accommodate trailers or RVs. There is a nearby camp site called Clear Creek Camping. Is there public transportation from Birmingham to Camp McDowell? No, but people have had success in obtaining rides by posting your need on the fasola.org listserv and/or using their local singing listserv. Are there scholarships available for adults age 30 and up? Only under special circumstances, but singing groups often arrange travel or tuition scholarships for their local singers. Camp Lee provides very typical camp food for kids, i.e., pizza, tacos, hamburgers, hotdogs, etc. While there is a small salad bar available both at lunch and dinner, you will probably want to bring some additional non-perishable items to supplement your food. Health department regulations will not allow campers to keep food in the Camp’s refrigerators nor cook items in their kitchen. There are no refrigerators in the dorms at Camp Lee. But please note that people with various dietary needs have successfully come to camp! I have a large family that includes children under age 10, and staying in a hotel would be cost prohibitive. Is there a place on site where we could stay? There is a limited amount of housing that is available for larger families on site, but please note that it is a far walk from these cabins to where most of the camp activities take place. Can I park my RV at Camp Lee? No, but there is a nearby RV park that some campers have used in the past. My child is 9 and his older sibling is staying in the dorm and can babysit him. Can he just stay in the dorm? No. All children under the age of 10 must be accompanied around the clock by a parent or guardian. Can the camp counselors keep an eye on my 8 year old so that I may attend a different class from his/hers? No, we ask that you stay with your underage child at all times. Is there public transportation from Birmingham or Atlanta to Camp Lee? No, but people have had success in sharing rides by posting your need on the fasola.org listserv and/or using their local singing listserv. Are scholarships available for youth? Yes! Please let us know if there is someone you would like to sponsor or if you know someone who would like to come to camp, but cannot afford the fee. 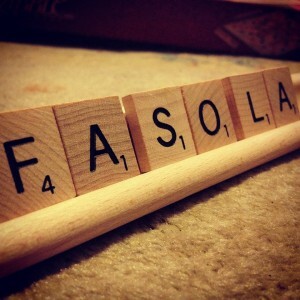 For additional information about Camp Fasola, email camp@fasola.org or telephone 404.237.1246. The Camp Fasola web site was designed by Lauren Bock and Jesse Pearlman Karlsberg. The site features photographs by Jonathon Smith, Lauren Bock, Ewan Paterson, and Mic Stowe. The Camp Fasola logo was designed by Lauren Bock. Camp Fasola has been made possible in part by grants from the Alabama State Council on the Arts, the National Endowment for the Arts, the Sacred Harp Publishing Company, and individuals interested in Sacred Harp singing.